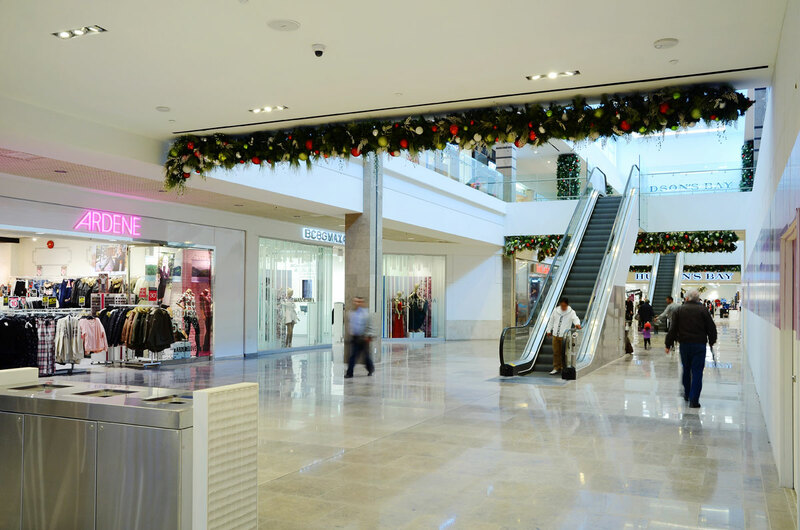 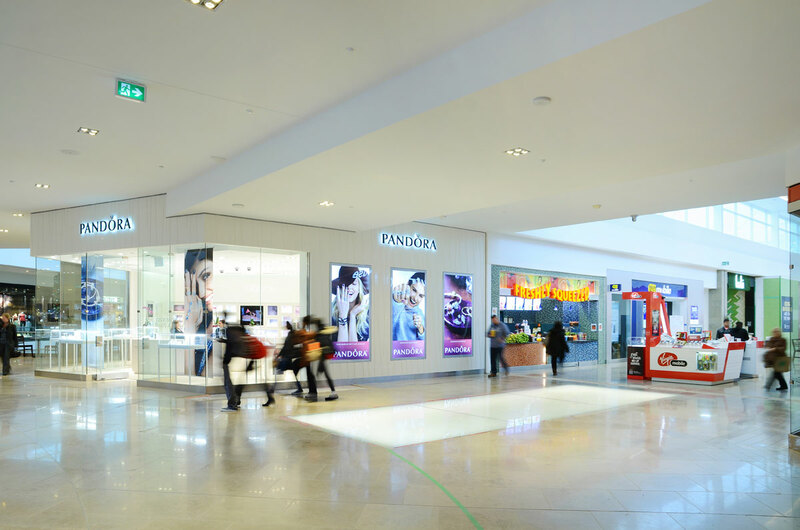 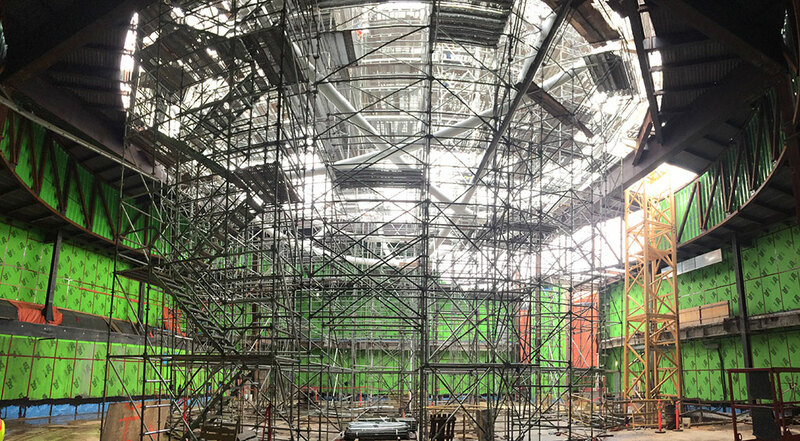 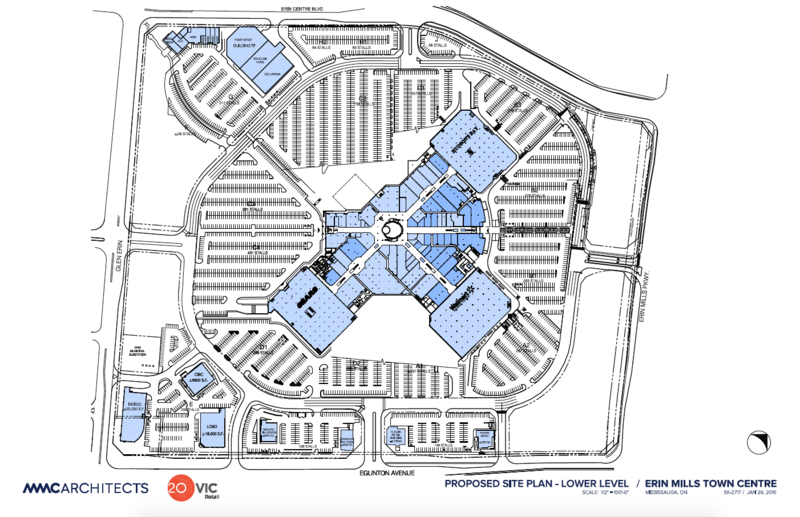 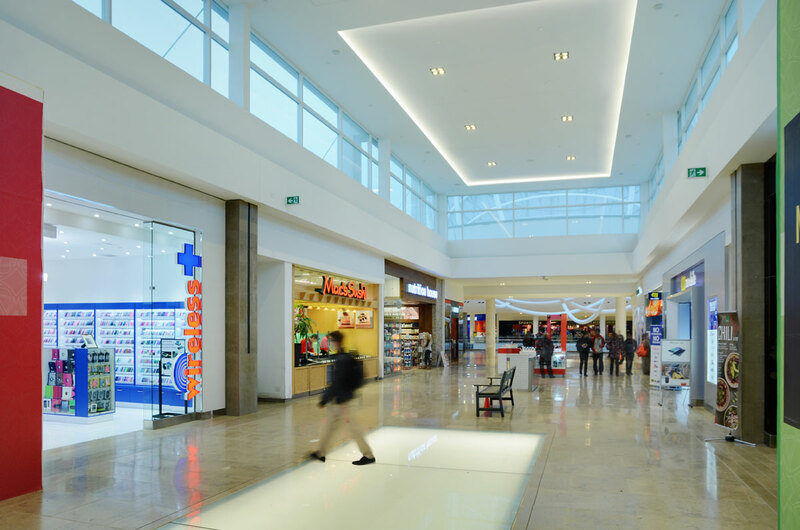 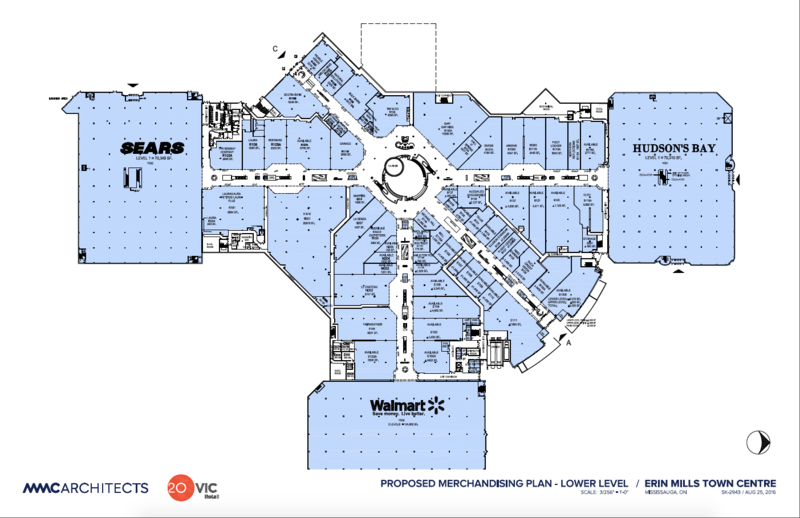 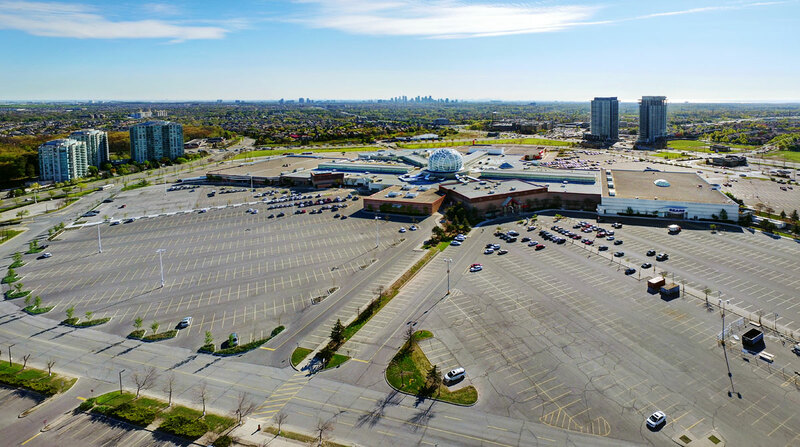 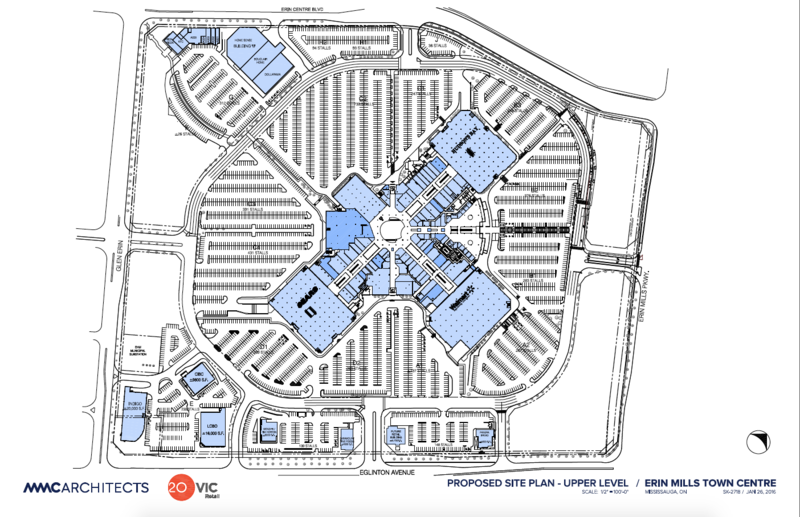 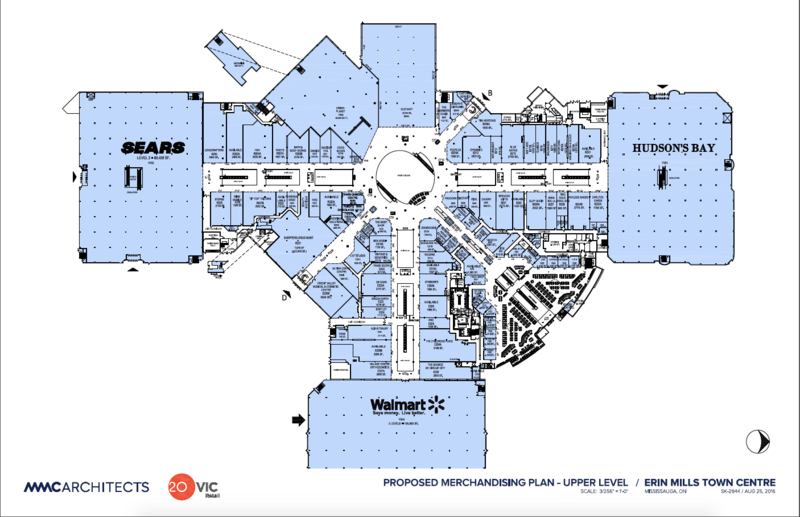 To modernize an 847,000 sq ft regional shopping centre in Mississauga and meet the needs of the growing primary trade area in the face of strong competition from neighbouring super-regional shopping centres by improving internal traffic circulation, lighting and amenities. 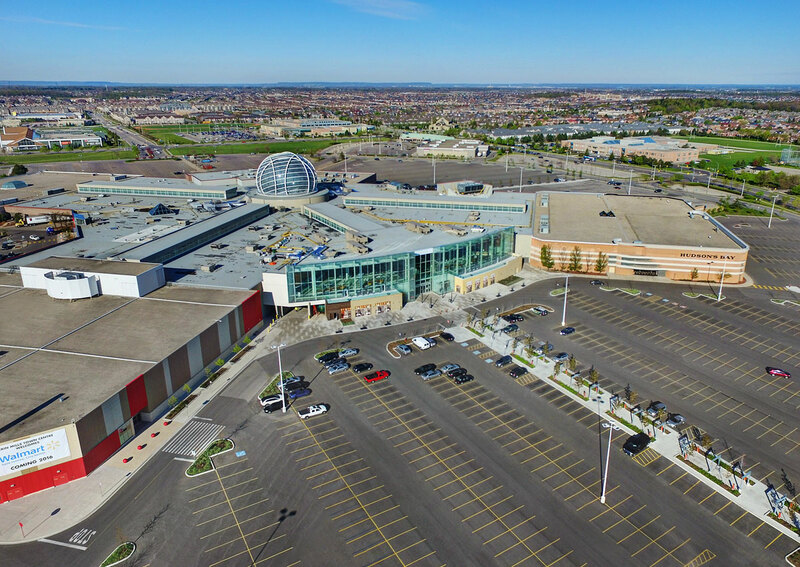 Erin Mills Town Centre, in Mississauga Ontario, shares a trade area with two large dominant shopping centres that continue to expand. 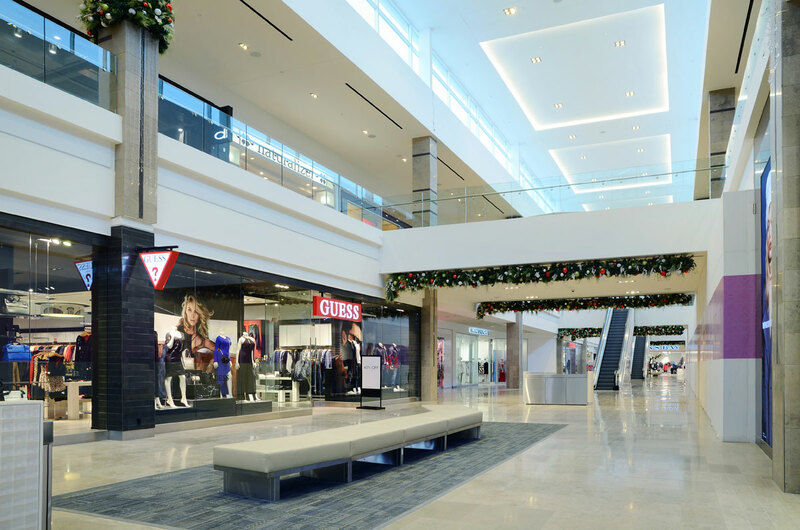 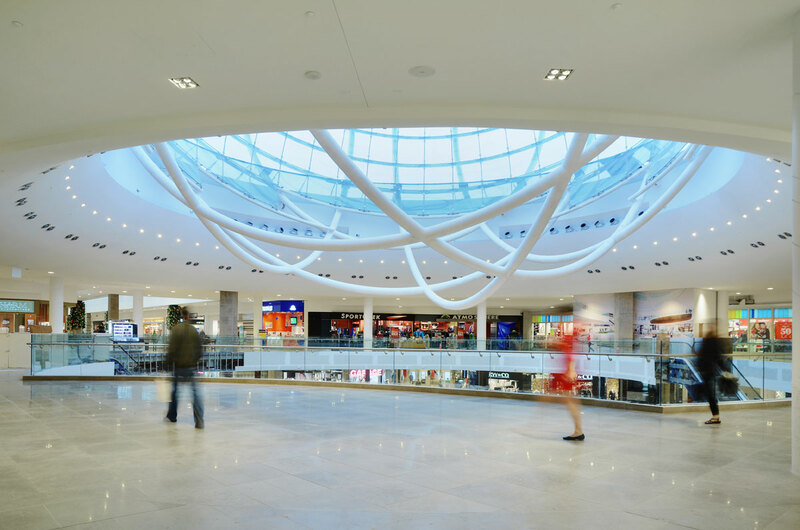 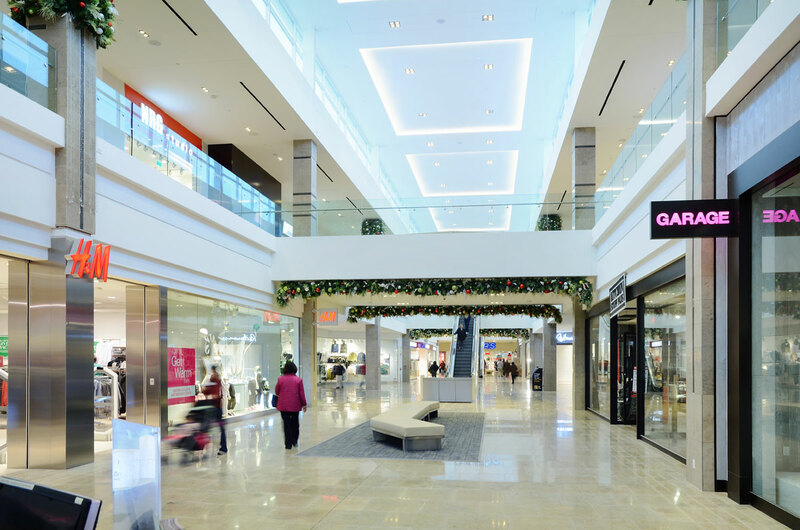 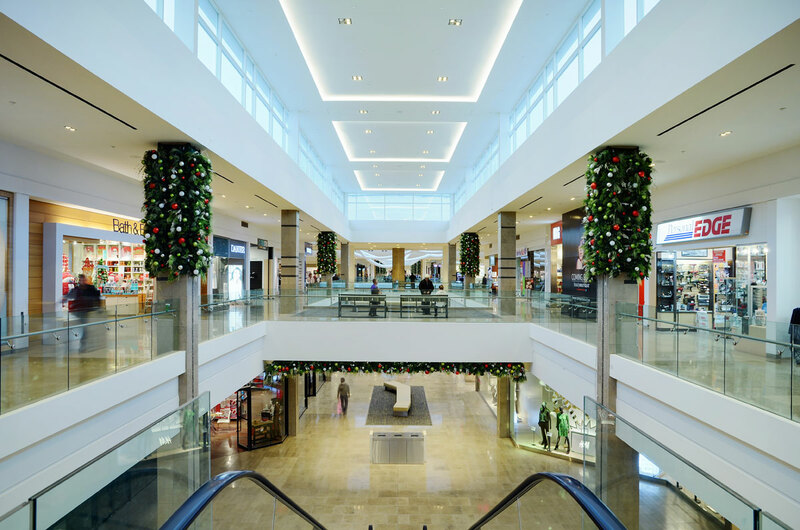 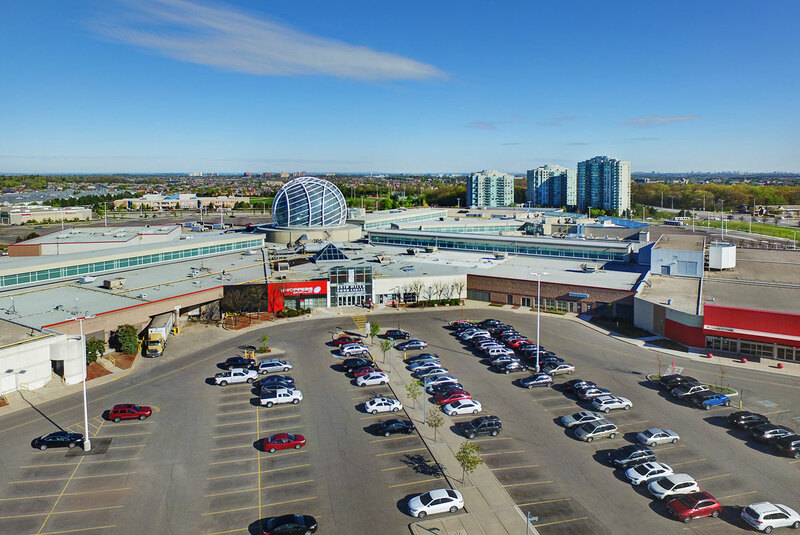 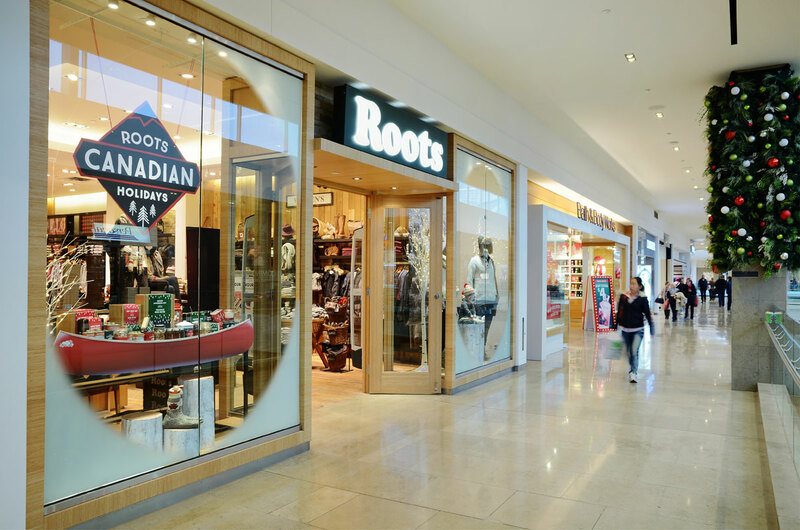 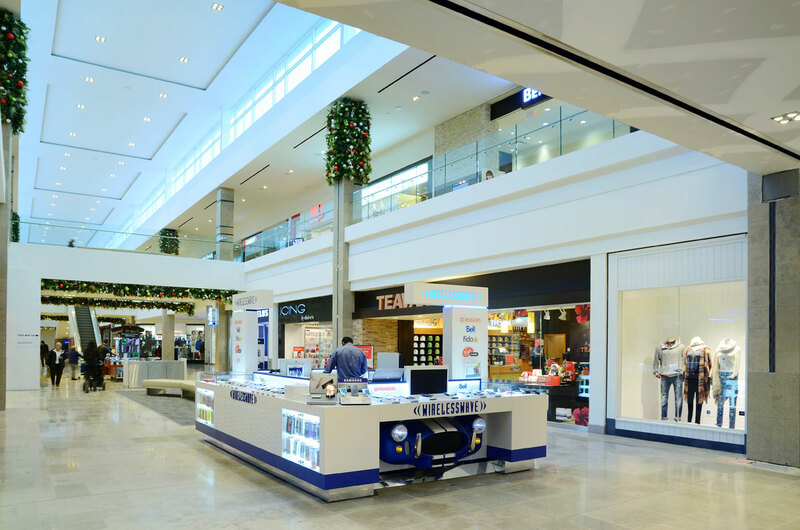 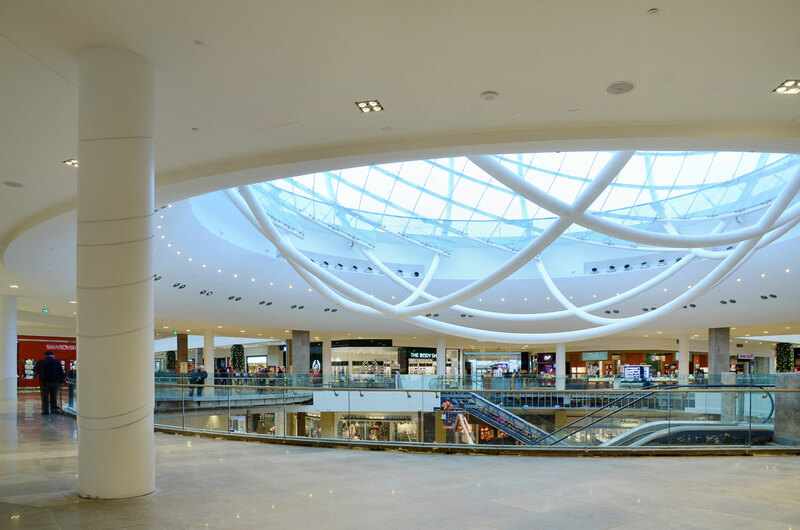 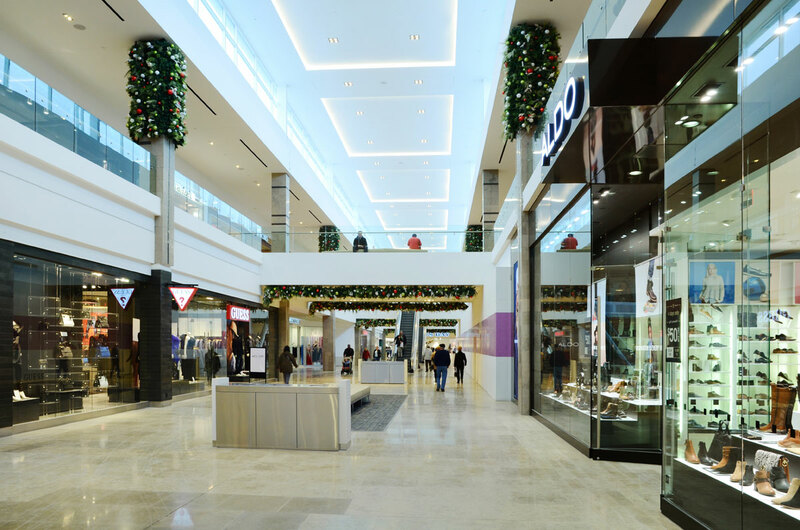 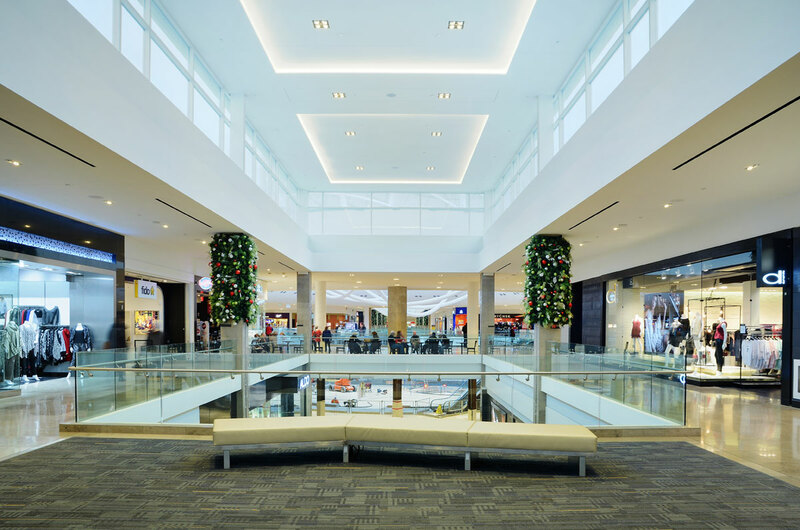 Erin Mills Town Centre hadn’t seen any major renovations since 1989, and it was time to turn the property into a vibrant urban destination. 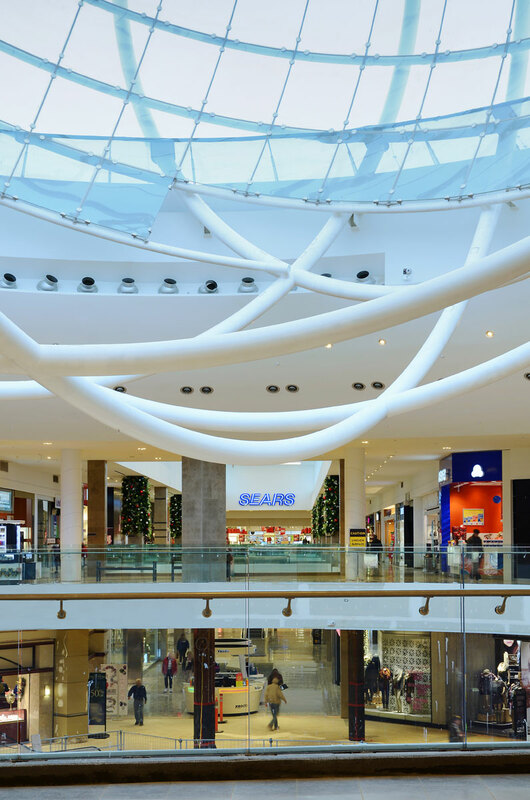 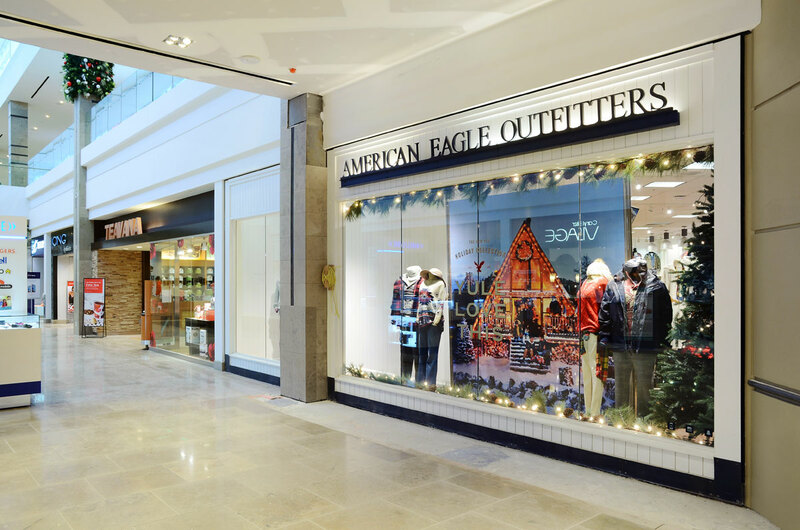 Consumer research revealed, however, that the market wasn’t looking for a bigger destination, but rather a better, more enhanced customer experience. 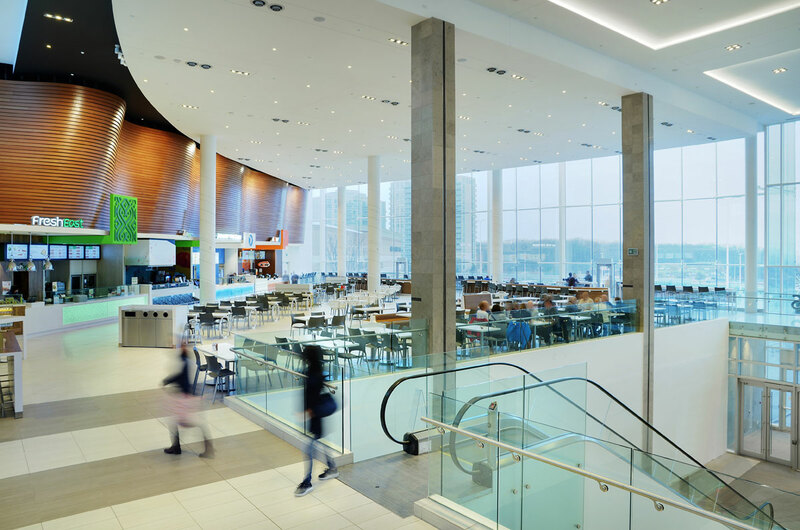 The property also needed to address an existing architectural feature, the clock tower, which had become a Mississauga landmark. 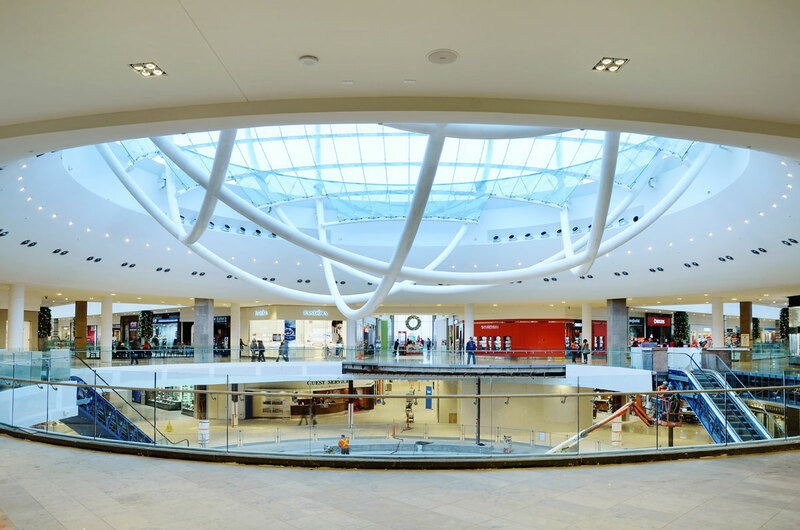 The innovative redevelopment is characterized by a sleek, contemporary design in a clean international style. 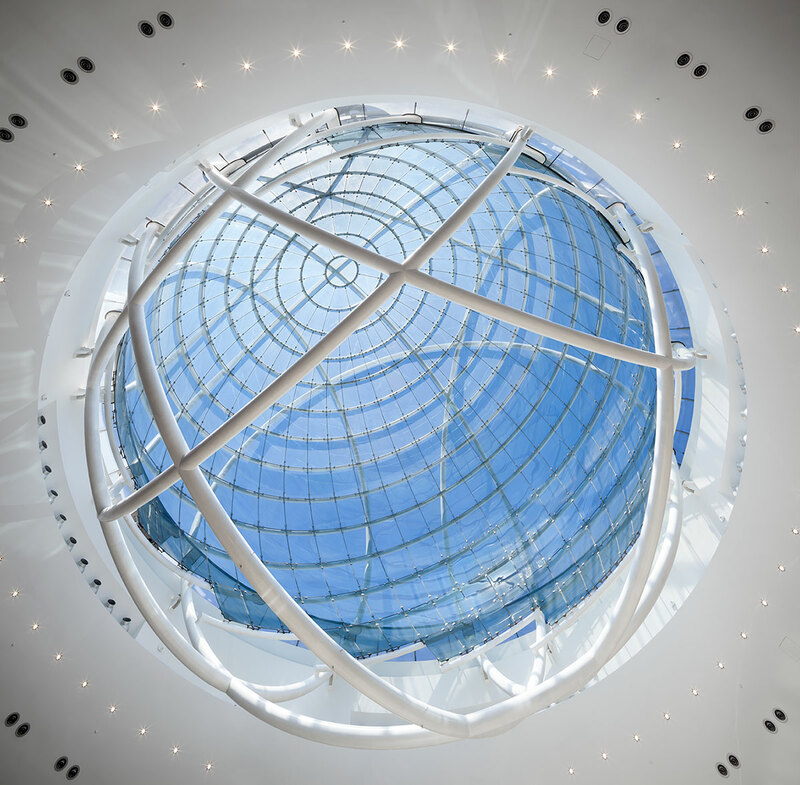 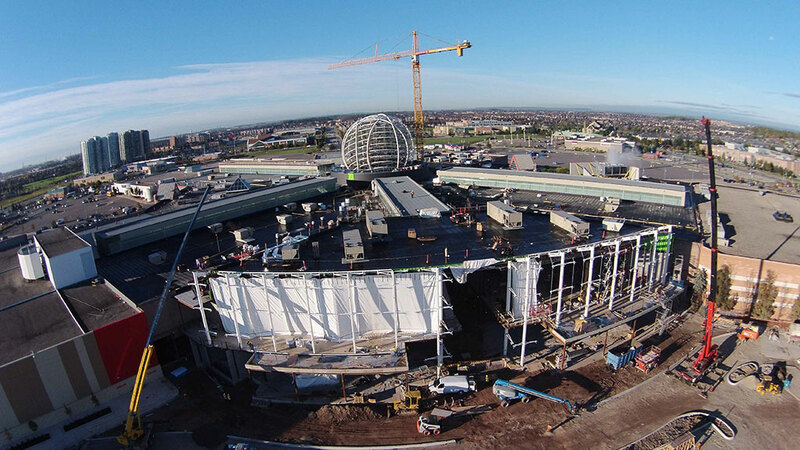 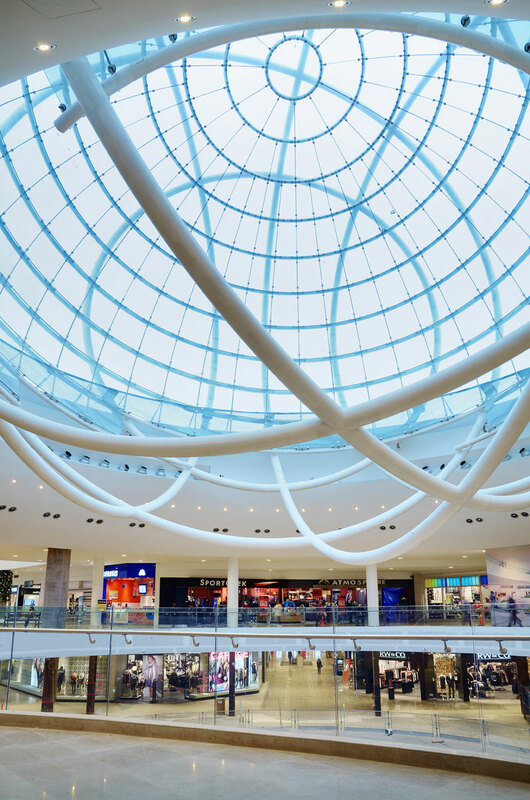 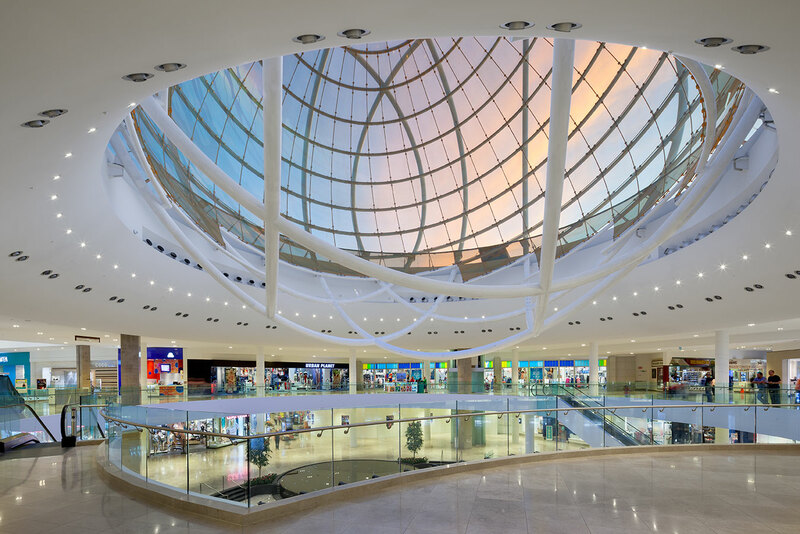 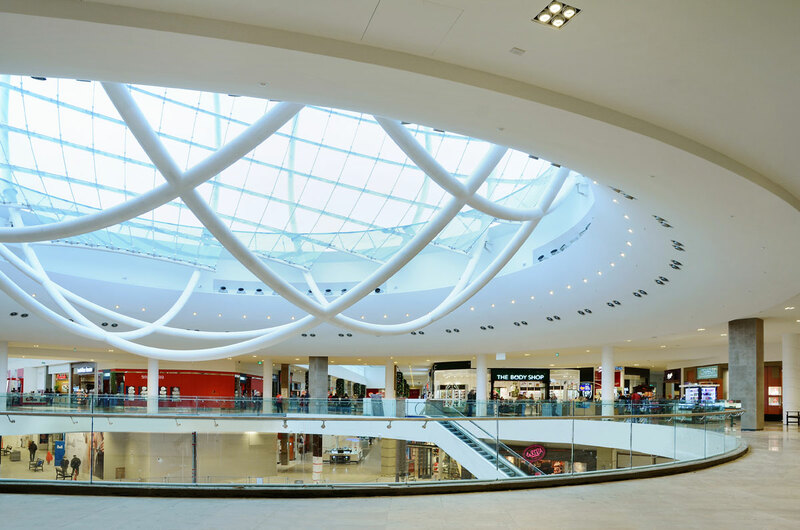 Succeeding the existing clock tower, the architectural piece-de-resistance is an iconic glass sphere atop the building that pierces through the roof into the shopping centre’s central court area. 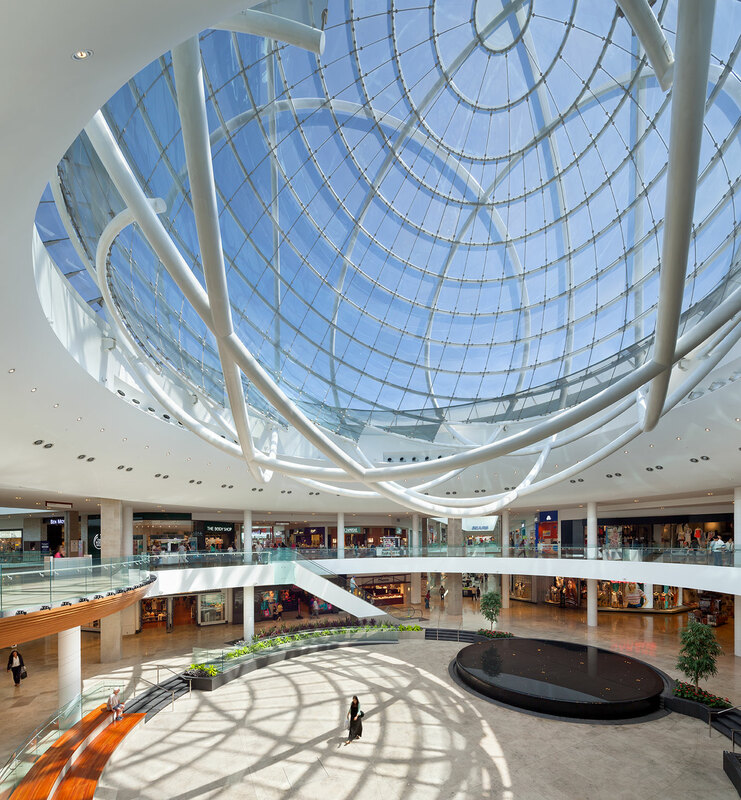 Existing skylights are replaced with modern clerestory windows, bestowing visitors with more natural light in the common areas. 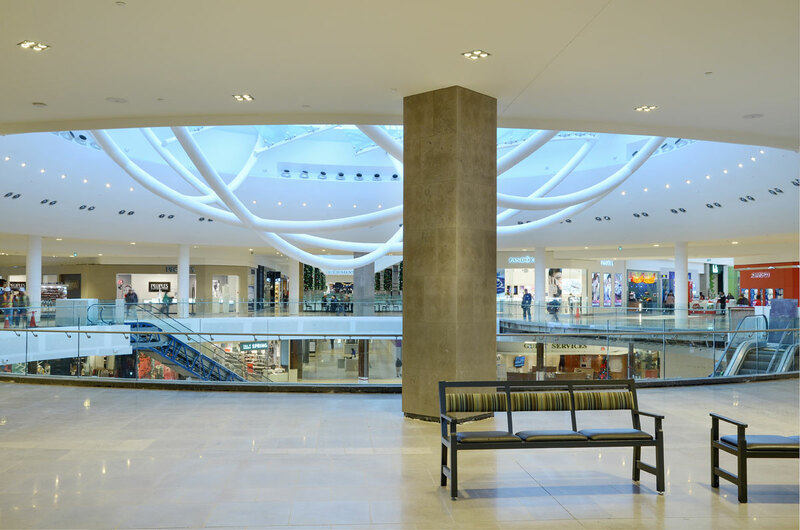 More than just another central open area, the main court at Erin Mills Town Centre is about the community and its people. 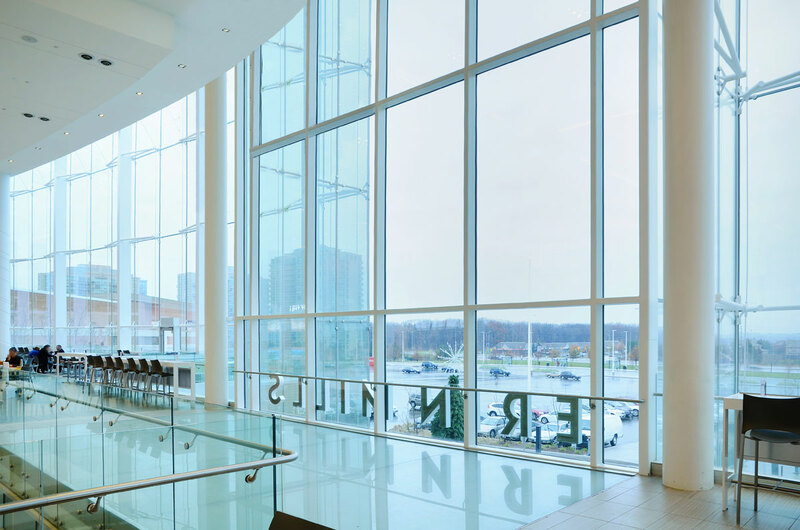 The expansive centre court features an awe-inspiring infinity pool, surrounded by futuristic communal seating, which acts as the striking backdrop for public events. 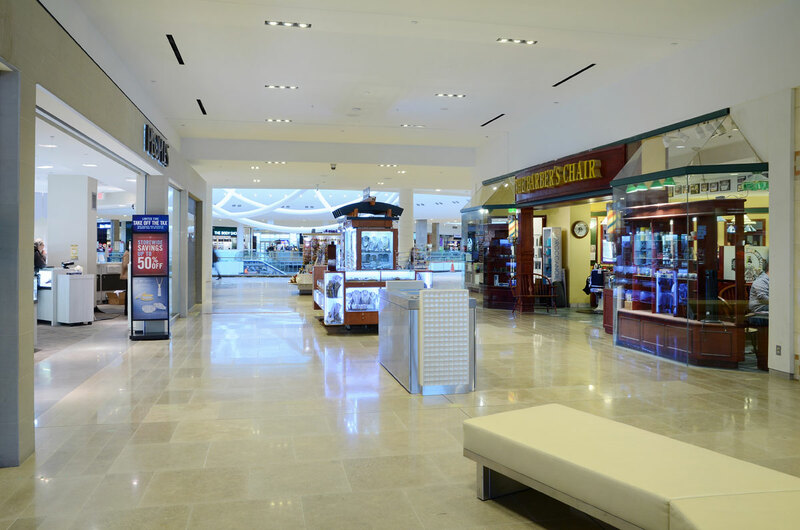 It is the place for the community to meet, greet and be entertained. 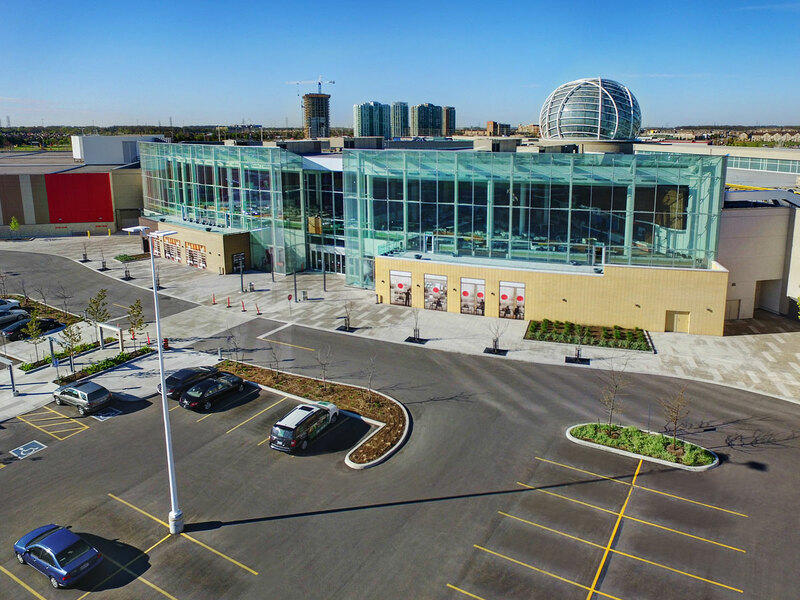 In response to lifestyle trend shifts, food plays a pivotal role in Erin Mills Town Centre's identity. 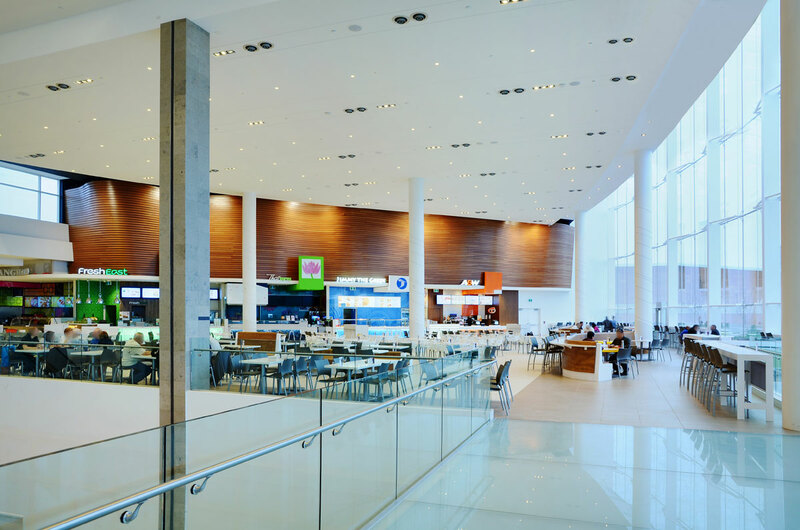 The former food court was rethought, reworked and reborn. 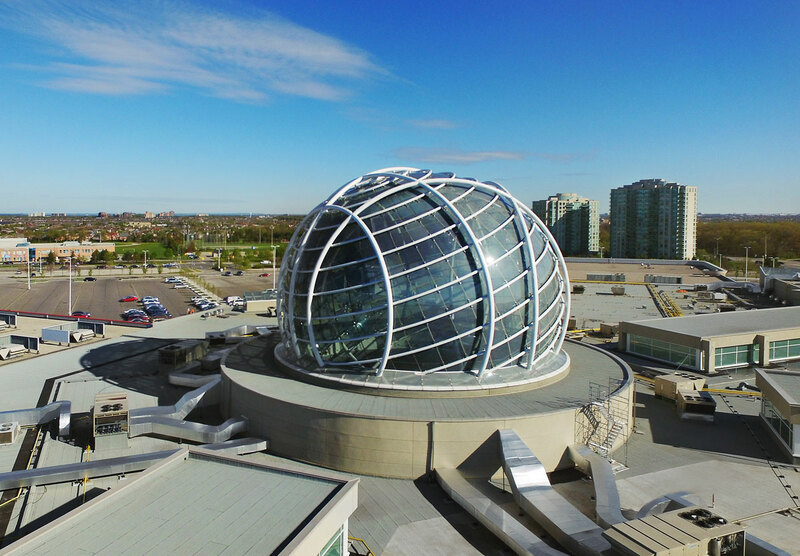 It has been significantly expanded to become a unique destination for foodies seeking an elevated dining experience. 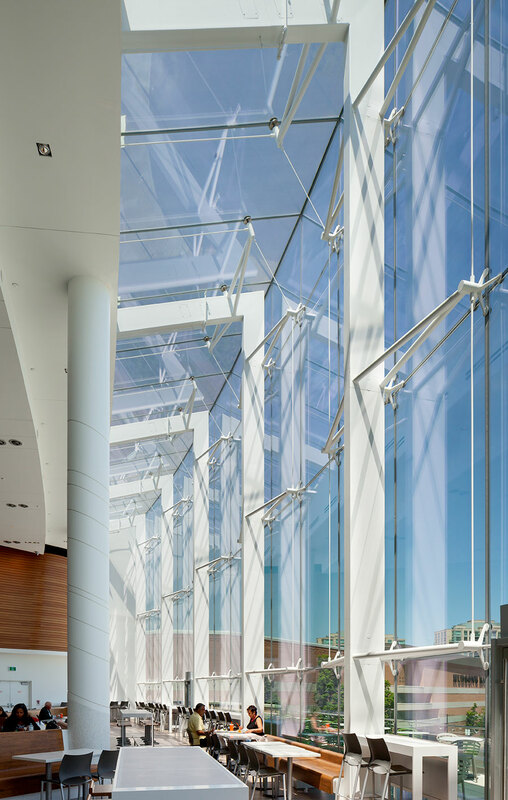 Located front and centre, two stories of food purveyors entice visitors at the main entrance, dramatized by soaring clear glass frontage. 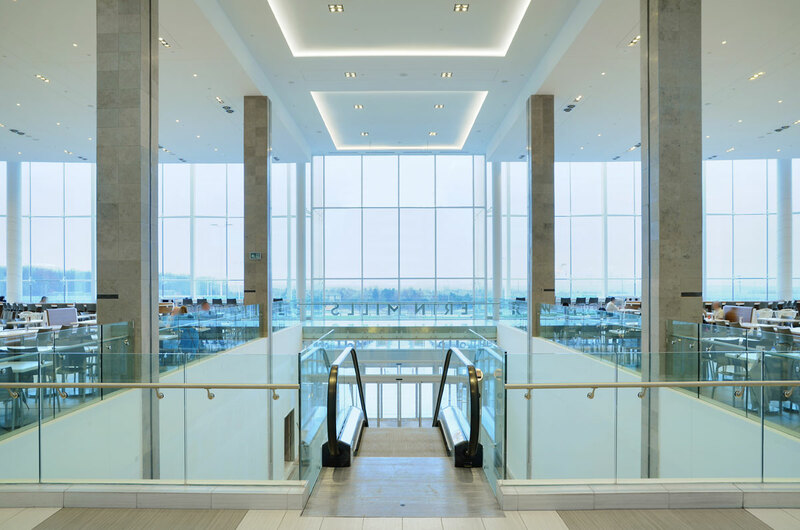 On the lower level, the main entrance is flanked on either side by glass-enclosed quality restaurateurs making a clear statement that leisurely dining, lounging and socializing are the new calling cards of Erin Mills Town Centre. 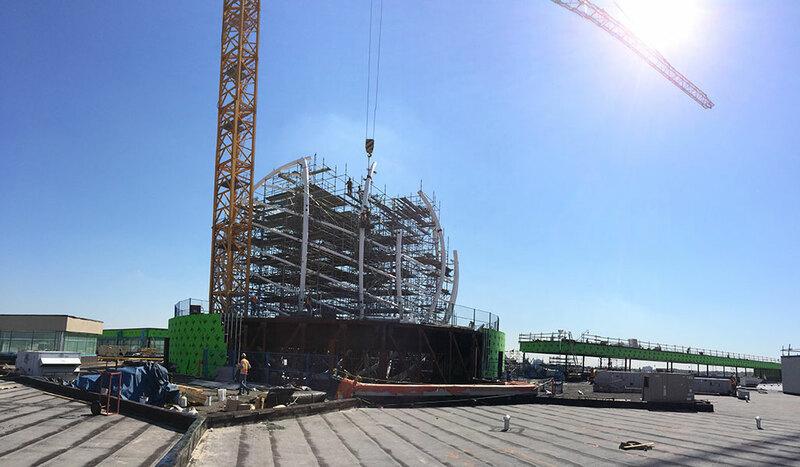 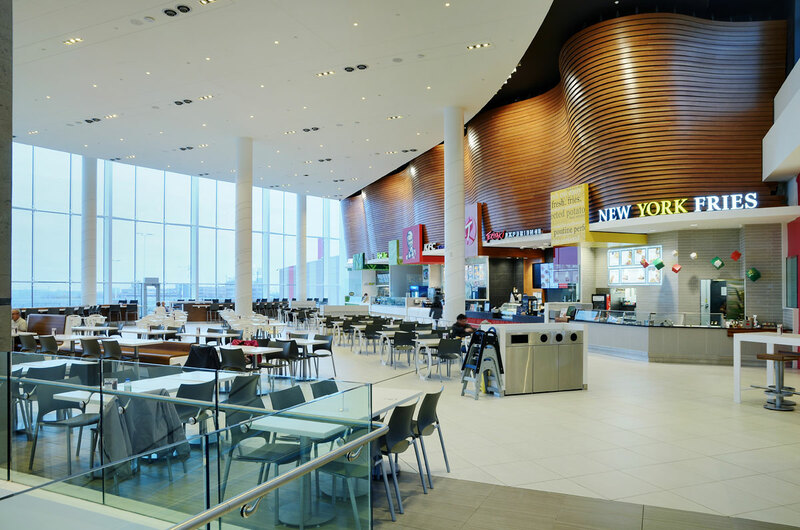 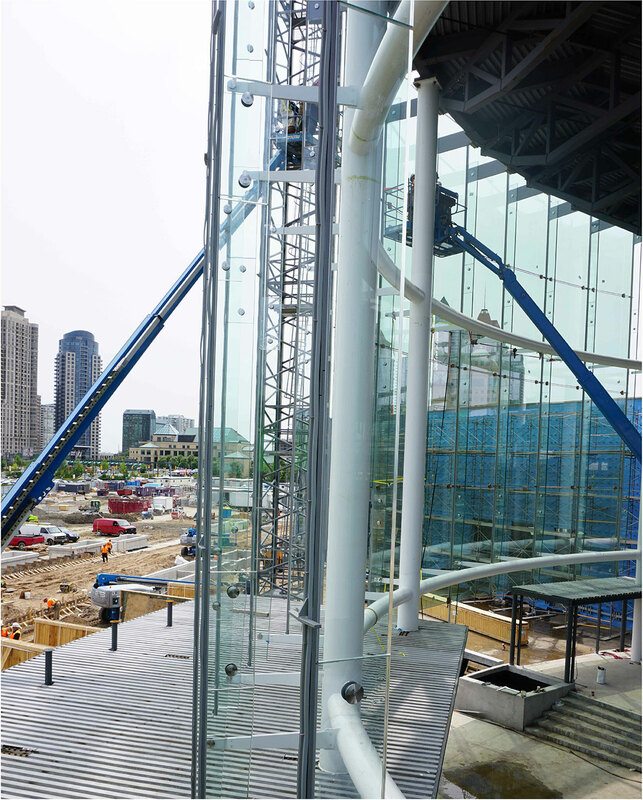 On the upper level, in addition to the varied seating environments, the food court features an inviting outdoor patio offering magnificent views of downtown Mississauga and the Absolute Towers.